Welcome to Balanced Output, a site dedicated to synth resources and the home of Balanced Output Music. Here you will find samples, synth sounds, Cubase mixer maps, software for the Atari ST, and MP3's of my musical rantings. Many similar web sites are a little bit bogus in that they are heavy on fancy graphics and banners but thin on substance, relying on links to other sites' download pages. At this site we've kept the use of other people's material to a bare minimum. The exceptions are various banks of sounds which are or have been freely available on the net, and Hubi's Loopback Device (MAXIMUM RESPECT). I hope that the information and downloads available here are of use. This site is being updated, expanded and improved more frequently now. Therefore if a download doesn't work it is probably because it hasn't been uploaded to the site yet. Try again later. As this is a labour of love my time is a bit limited - sorry. The graphics and layout here are extremely basic; that's because we see no point in wasting your time waiting for jazzy pages to download and open. Anyway, this isn't a graphics site, we're not trying to sell anything, and we'd rather leave the fancy stuff to the expert and the talented. This site will continue to provide the Quinsoft range of ST software. 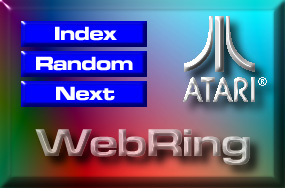 However Balanced Output is no longer an 'Atari' site; we DON'T support the ST platform, other than providing a few links to ST sites. Hello MAC users. You may find some useful things here. A good place to start at this site is the Information Page. You can find which instruments this site supports. Alternately you could go straight to the Downloads Page. You are assumed to have read the disclaimer, terms, and copyright notices. Finally, if you do download something from here we'd appreciate it if you signed our Guestbook. This will give us some indication as to how useful the downloads are. MPEG 3, MIDI files, and Synth sound links. Samples, Synth sounds, Cubase Mixer Maps, Skins, and Atari ST software. Things you never knew and never knew you didn't want to know about techno antiques. Sign or View my guestbook. The usual lack of responsibility on my part regarding anything written or downloaded from this site applies. Please feel free to make copies of software or material at this site for your own personal use. But remember, unless stated otherwise, everything you find here is original. I shall only continue to publish my work for free on the internet if it is treated my original work and respected as such. Do not place any of the contents of this site at any other location without my express permission. My new address is tim_will99@hotmail.com. All e-mail me links point to this new address. However it is quite unlikely that I will be able to respond to queries, other than offers of work. Time is tight. MP3's of my own recent work. These will be changed periodically. Balanced Input wasn't popular and is very similar to the Guestbook, so use that instead. The mailing list has gone as well. I simply don't have the time to maintain it. This site was reviewed in the May 1999 issue of Sound on Sound magazine. If you are reviewing this site or have seen any other reviews of it, e-mail me. The usual lack of responsibility on my part regarding anything written or downloaded from this site applies. Please feel free to make copies of software at this site for your own personal use. But remember, unless stated otherwise, everything you find here is original. I shall only continue to publish my work for free on the internet if it is treated my original work and respected as such. Do not place any of the contents of this site at any other location in any medium without my express permission. If we find any links on other sites going directly to our download pages without our permission, we shall publish their names on a "Don't Go To These Sites 'Cos They Are Ripoff Merchants" Page. On the other hand, there is some material on this site that I have acquired over the years, including synth patches and samples, that I have every reason to believe is in the public domain. If anyone feels that I have infringed their copyright or patent, or have wrongfully used their material and can show this to be the case, I will gladly remove that material or acknowledge its authorship. However, nothing at this site provides me with any material gain.